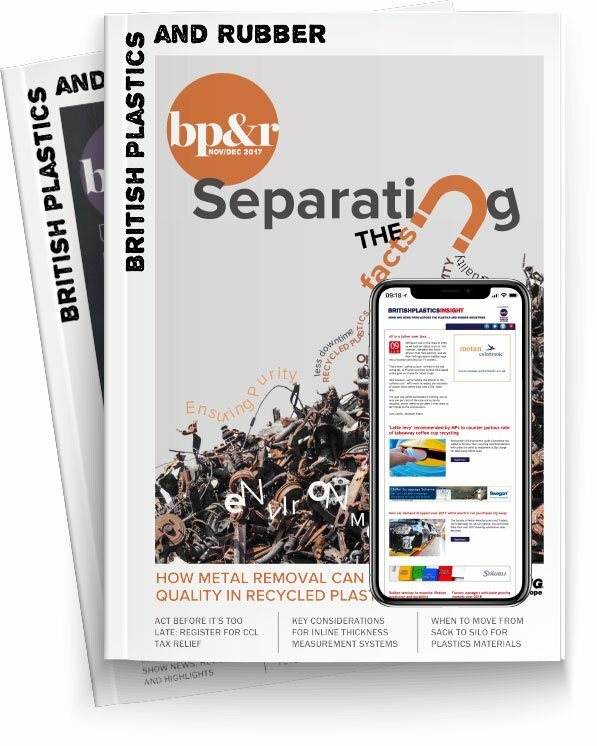 This month, Philip Law, Director General of the British Plastics Federation, talks Irish charm, the Mexican marketplace and global opportunities as he writes exclusively for BP&R in a special edition of his regular column, which outlines the themes he will develop during his keynote presentation at Interplas. I was delighted to recently attend a Breakfast Network meeting of the Northern Ireland Polymers Association (NIPA) in Belfast. NIPA is a BPF-affiliated organisation and provides impressive leadership to the industry in the province. I was proud to present a crystal salver on behalf of NIPA to John Rainey, the Chairman of the Denroy Group in recognition of his recently awarded MBE and the great support he has given to NIPA since its inception. John is a great name in the industry in Northern Ireland and beyond and NIPA owes much to him. I was struck by the outward looking perspective of all the firms I met in Northern Ireland. Without exception, they all saw the world as their market place – from manufacturers of building products to technical parts – and this is a theme I want to develop in my presentation at Interplas. In my view this approach should be mirrored across the UK. We are in, or at the top of, the first division in so many fields – whether it’s packaging or car parts, sustainable thinking or energy-efficiency know-how. UK manufacturers are well received wherever they go. When you catalogue the UK’s ‘firsts’ in plastics it’s a very long list indeed, and it’s still continuing. BPF is providing several platforms overseas on which companies can address global opportunities. You can exhibit with us at ‘Plastimagen’ Mexico City, 18th – 21st November, ‘Plasteurasia’ in Istanbul on 4th – 7th December and ‘Plastindia’ in New Delhi on 5th – 10th February 2015. It will be the first time that the BPF has been to Mexico. Ranked as the twelfth largest plastics consumer in the UK at 5.3 million tonnes, it’s in roughly the same ballpark as the UK, with a not too dissimilar market split. Whilst packaging accounts for around 50 percent consumption, there is a general increase in investment in the automotive sector. Some 19 global automotive OEMs are established there, as are 84 of the top 100 auto parts companies in the world. Aerospace is another key sector and the number of companies engaged in this sector has quadrupled since 2005. Amongst its other credentials, Mexico is the largest flat screen TV exporter in the world. A particular opportunity is in the recycling field. Mexico generates over 800,00 tonnes of PET waste every year but most is recycled in China and the USA. There is considerable interest in increasing domestic recycling capabilities. A change is taking place in approaches to manufacturing and quality. Under pressure from competition from low-cost Asian car producers, the auto industry in Mexico is increasingly competing on value, R&D and time to market. Additionally productivity in Mexico’s plastics industry has increased 56 percent in the last five years. Potential exporters should be sensitive to the regional concentration of the plastics industry in Mexico. Around 70 percent of production is focussed in seven states, with Estado de Mexico accounting for 26 percent, Guanajuato at 8.4 percent and Jalisco at 8.2 percent. Mexico City itself accounts for 7.7 percent. A key interest is that Mexico imports over 30 percent of its needs in plastic raw materials and 90 percent of the equipment used. Certainly this presents an opportunity to examine closely and another reason why UK manufacturers should look to global opportunities. When we talk about plastic there are a lot eyebrows raised. But yes, you are right. A lot has changed over the years recycling, the quality of plastic used, etc, There is a focus on human and environment health. We can chose reliable sellers like - http://www.lagerbladmachine.com/ who offer fully automated and efficient packaging machinery that help save energy and gives positive outcome.